Sometimes the people who contact us are clear about what they need from Mind the Gap. Other situations are less clear at the beginning. We listen carefully and ask questions that help us identify exactly what is required and ensure that our work together is positive and valuable. We find that partnership approaches work best to identify needs and respond effectively. We work closely with our clients to design a participatory evaluation process, deliver practical training or research, or facilitate a complex programme with many stakeholders. Our top priority is to create a partnership and an atmosphere in which people can connect in safe, effective, engaging ways. We focus on identifying and delivering the outcome the client requires, and how to add as much value as we can – over and above our Terms of Reference. In the end, all of our work is about enabling people to feel confident and empowered to achieve their own goals and their organisation’s goals. Training must work at work – not just the training room. An evaluation must enable people to move forward optimistically, learning from what worked well and feeling encouraged to make things even better. Research must inform decisions and actions, as well as being scientifically sound. Facilitating a tough conflict situation must enable people to feel confident, safe and supported as they act on difficult decisions. Many clients have identified our flexibility as a key part of our approach. Our responsiveness enables us to provide bespoke programmes that precisely meet our clients’ needs. We use hands-on approaches to training and facilitation that get people out of their seats and interacting with ideas and tools in practical, creative ways. We believe that participation is vital for sustainable, successful outcomes in which everyone has a vested interest. 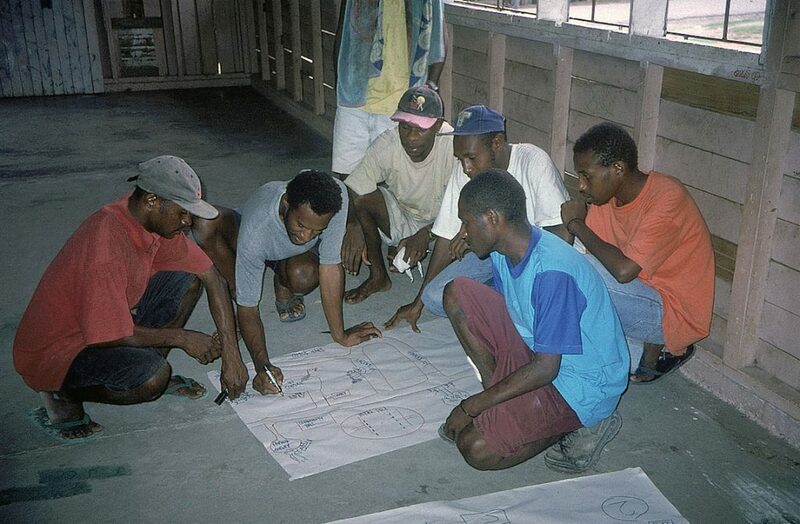 Our participatory approaches work across the board – in evaluations, training, research, complex facilitation, and in conflict management processes. We make sure that everyone has the chance to express their ideas, concerns and dreams. We work hard to connect with everyone who is involved in Mind the Gap’s work; to apply training in their work; to be a partner in, not a subject of. an evaluation; to make research work for people as well as providing sound science; and to be fully involved in identifying solutions to conflictive situations.